Glitterbug is surely an album to forget. 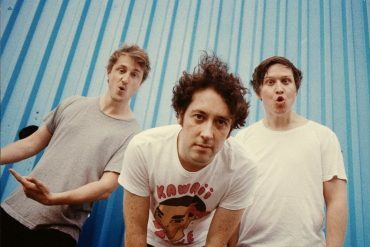 The Wombats are a bit like cheese. No, not the fine cheese that gets better with age. The kind of cheese that starts off fantastic, but when you leave it for too long it sort of just turns into a smelly, crusty, awful mess. The bands debut in 2007 was by no means a world beater, but it was enough to showcase that the Liverpudlians had a pretty decent ability to play music. The bands sophomore album in 2011 was slightly less impressive, and had not quite given the band a similar acclaim as the first. Four years later and now we have album number three, and this brings me back to the cheese analogy. Glitterbug is listenable for the first the first four songs, then descends on a not so “gouda” path (excuse the pun, but I couldn’t help myself). 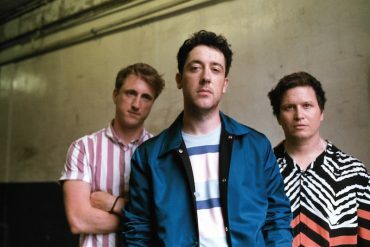 If The Wombats had released a four track EP (with perhaps Your Body is a Weapon as a bonus track), we’d have a pretty damn good EP on our hands. Sadly, the first four songs are part of a whole album. I’m sure at this point you can tell the path this review is going on, so if you are a die-hard fan of the band (like I was for one album) you might want to look away. 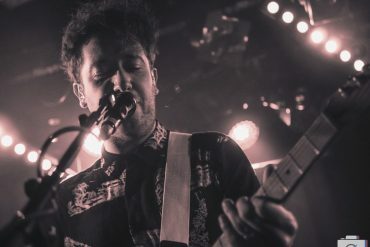 Anyway, the album starts with a dreamy guitar riff and you think “this is pretty catchy.” Lead singer Matthew Murphy begins his typical ramblings over relationships that seem like they happened when he was 16, but despite the lack of real invention the album gets off to a pretty decent start. One thing that is evident from the start of the album is the bands shift from a high-tempo, downright awesome brit-pop/rock sound, to now a pretty mediocre mix of disco and Katy Perry. Despite the shift, they manage to pull it off for about 15 minutes. After that however, you might as well just stop listening to the album. Headspace begins the albums demise. The song would probably fit better on a “Worst of the 1980’s” compilation to be completely honest. What was going so well for the album has now well and truly been thrown out the window. This is Not a Party has a similar issue. Isabel gives the album a slightly different, slower, more acoustic sound but still doesn’t do much in the albums favor. Your Body is a Weapon seems to have gotten lost, as it is actually a fairly decent song similar to that of what gave the album such a promising start. However, this is merely another false start as the album ends in lackluster fashion. 'Glitterbug' starts off well but soon descents into mediocrity.